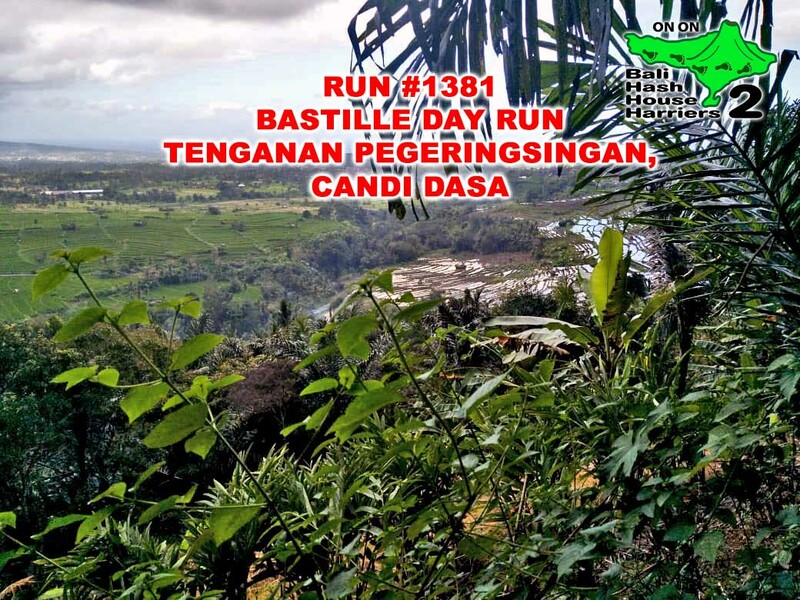 Saturday 14 July 2018 – Bali Hash House Harriers 2 will be celebrating Bastille Day with our French friends at Tenganan Pegeringsingan which is just a few kilometers North of Candidasa. The run features 2 trails, a long and a short, authentic French food, Bastille day t-shirt and free slow beer and soft drinks. This will be an amazing run set by our Hare Raiser Allez Allez. 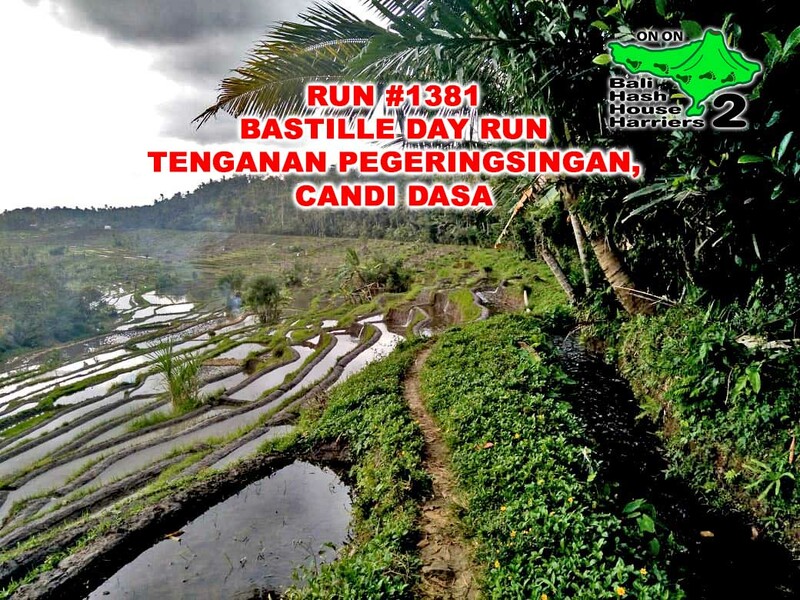 So come join us for a Saturday that you won’t soon forget with Bali Hash House Harriers 2! This is gonna be a special run located just outside of Candidasa Bali. We have 2 fantastic run trails planned leveraging the support of some locals who have pitched in to help us find some mind bending trails. If you love hash house harriers or you love trail running and you also love drinking beer, then Bali Hash House Harriers 2 is the place to be this Saturday 14th of July 2018. We are giving away a commemorative t-shirt for the run, plus we’ll have plenty of food on hand as well as free flow beer and soft drinks. Bring the whole family or come alone, you will have a great time with Bali Hash House4 Harriers 2! On On. 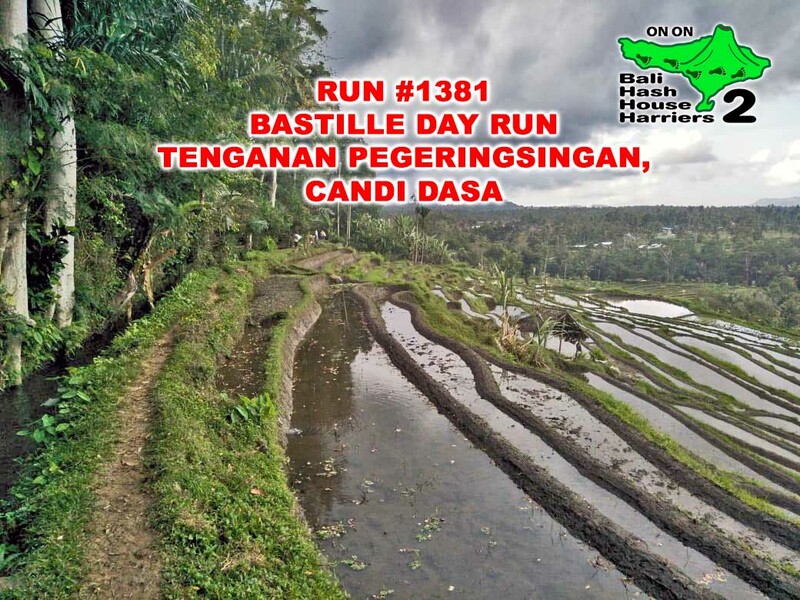 Saturday 14 July 2018 – Bali Hash House Harriers 2 will be celebrating Bastille Day with our French friends at Tenganan Pegeringsingan which is just a few kilometers North of Candidasa. The run features 2 trails, a long and a short, authentic French food, Bastille day t-shirt and free slow beer and soft drinks. This will be an amazing run set by our Hare Raiser Allez Allez. So come join us for a Saturday that you won’t soon forget with Bali Hash House Harriers 2! On On to Tenganan Pegeringsingan. The run site is about 45 km from the big intersection between Sanur and Denpasar. Follow the bypass to Candidasaand turn left when you see the sign for Tenganan. The run site should be about 3 or 3.5 KM up the road. Look for the BHHH2 signs posted along the way. In addition, there are two villages at Tenganan. The Bali Hash 2 run site is Tenganan Pegeringsingan. Harap dicatat: Situs ini berjarak sekitar 45 km dari persimpangan besar antara Sanur dan Denpasar. Ikuti jalan pintas ke Candidasa dan belok kiri ketika Anda melihat tanda untuk Tenganan. Situs yang dijalankan harus sekitar 3 atau 3,5 KM di atas jalan. Cari tanda-tanda BHHH2 yang dipasang di sepanjang jalan. Selain itu, ada dua desa di Tenganan. Situs lari Bali Hash 2 adalah Tenganan Pegeringsingan.